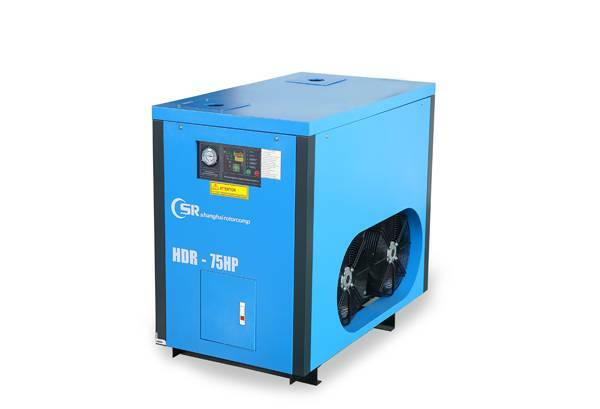 The fuel injection screw air compressor, unlike the oil-free machine, must have a special oil pump. 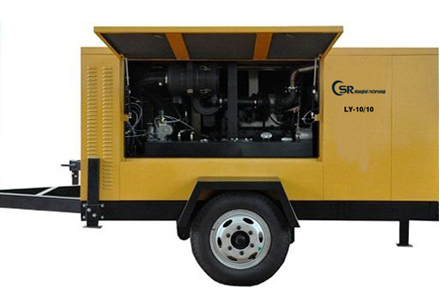 The screw compressor oil circulation is maintained by the difference between the oil level and the main engine injection port. Lubricating oil is a very important working medium in the screw compressor, need to have high oxidation, high flash point, high-temperature stability; both with a small flow resistance, but also with cooling, noise reduction, lubrication, sealing function. Lubricant circulation process, due to the high speed of the compressor, the oil circulation speed, lubricants in copper, iron and another metal catalyst in the presence of high-temperature conditions, the oil easily ageing, and oil in a high temperature mixing state, it is easy Forming a bubble. If the oil level is too high (to determine the oil level, the best in the air compressor loading state to observe the oil level gauge is more accurate), a large number of bubbles will enter the oil, making the gas through the resistance increases, fuel consumption increases, Fuel injection and so on. Lubricant performance and quality of the use of equipment on the stable and reliable operation of a decisive role, if used improperly, can lead to serious compressor temperature, and even the host failure. In the case of conditions permit, the compressor lubricants can be used to test the method, according to the results of oil samples, as appropriate, whether to replace. 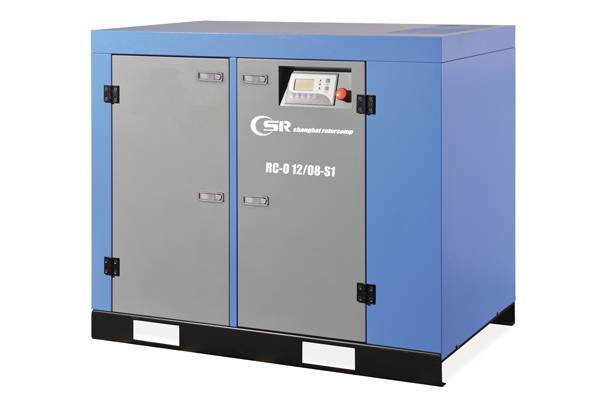 General compressor equipment running for about a year, it is recommended to the compressor system to do a system of online cleaning system, the conditions of the user every time before the oil system to do a system of online cleaning; online cleaning agent similar to healthcare products, its consumer object is Screw compressor machine maintenance. 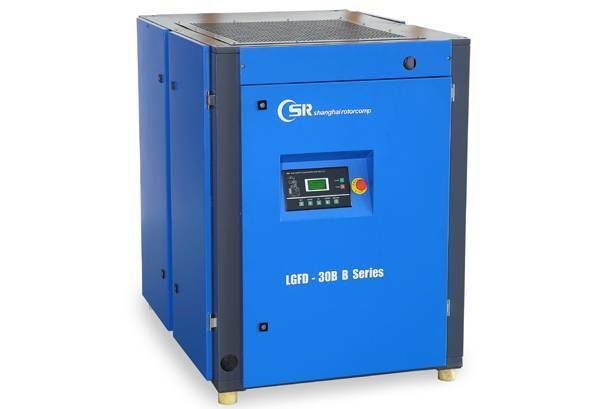 With the increasing popularity of screw compressors, due to the lack of screw compressor maintenance knowledge, in the sub-health screw compressors are more and more, screw compressor online carbon deposition agent also came into being, online cleaning agent because of its Free demolition, easy to use, to enhance the efficiency of equipment, etc., and soon accepted by the market. But it is clear that: online carburant cleaning agent only in each compressor oil change, adhere to the use of oil to reduce coking carbon deposition probability. If the host nose and oil have been a serious coke, it must use the line cleaning (host, tubing, cooler removed soaking or external circulation cleaning, oil and gas bucket bottom jelly soaked scrub). Temperature control valve as the compressor equipment, lubricating oil pipeline center, the performance of the pros and cons is directly related to the high temperature of the compressor or not. 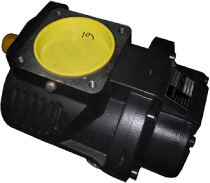 The temperature control valve mainly controls the minimum injection temperature of the compressor, because the lower injection temperature will make the compressor oil within the pressure dew point because of the relationship between the precipitation of condensate, easy to produce compressor oil emulsification, shorten the use of lubricants life. When the temperature control valve temperature sensor temperature is lower than its action value (temperature sensing element action value of 55 ℃ and 71 ℃, etc. ), the oil from the oil and gas drum through the oil filter directly to the host; when the temperature When the temperature of the oil temperature measured by the control valve is higher than its action value, the internal temperature probe will act as a thimble to push the spool to open the valve bypass, so that the oil flowing through the cooler and the oil is filtered back to the main part. Screw-type compressor oil filter is generally screw-mounted paper filter, filter accuracy of 12um when 50% of the impurity separation rate, filtration accuracy of 30um when the 99% of the impurity separation rate, can remove the lubricating oil Most of the impurities, to ensure normal lubrication of the host. Oil filter inside the bottom of the safety valve, with the use of time, deposited on the filter paper impurity particles will lead to increased pressure, when a certain pressure difference, the bypass valve is opened, the oil is not filtered into the filter Host, so make sure the host is sufficiently lubricated. But through the bypass valve into the oil, the lubricating oil in a large number of impurities into the nose, if not dealt with, will greatly shorten the compressor, including bearing life. 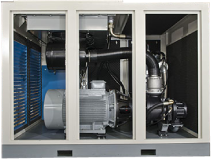 At present, a large number of screw compressors use the circulating tubing for the hose, with the use of time, hose long-term high temperature and pressure, may appear dew point, resulting in high temperature alarm equipment. Replace the new tubing to ensure that the pipeline cannot be less than the original pipe diameter, or may be due to lack of flow occurs instantaneous high temperature, equipment downtime. The secondary return line is located in the upper part of the oil and gas bucket, and a copper pipe inside the oil core is connected with the head through the oil return check valve. 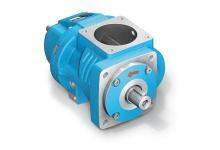 Its role is to continue to deposit in the bottom of the oil core of the oil inhalation head. If the return pipe is blocked, so that the oil dissolved in the oil core with the separation of compressed air into the rear air pipe, not only will increase the difficulty of post-processing, but also increase fuel consumption, long this equipment lack of oil, high temperature alarm.